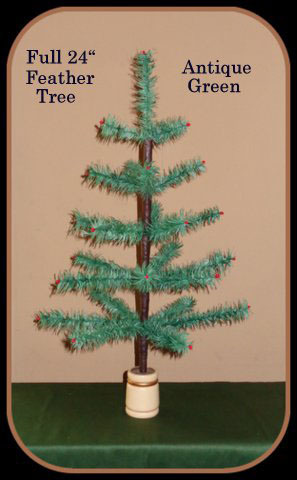 The Full 24 inch tree has a not-quite-as- sparse-look as the 24 inch tree. It has a 14 inch diameter and 5 tiers of branches. This is a very adorable tree.